October is a great month, schedule filled with events, photoshoots and meetings. One of the highlight event of the month was Rhythm of The Rain movie promotion in Malaysia. All thanks to Livescape , I get to be a part by playing a role of an insider. YESSS I GET TO FOLLOW THE STARS AROUNDDDDD. Like an official stalker lolll. I was so so so so so happy cuz Vincent Fang 方文山 is one of my fav song writer, he writes really good lyrics for many singers and I guess he writes most for Jay Chou. I love how the way he sees things differently, so I was really excited to watch his very first movie, Rhythm of The Rain 聽見下雨的聲音. Press Confrence @Redbox Plus, Pavilion. Super starstruck by Vivian Hsu. On the same day after the press con, it's Rhythm of The Rain Gala Premier Screening @ GSC, Pavilion. The next day was to TARC @ Wangsa Maju with Vincent fang, Queen and Ginnie. 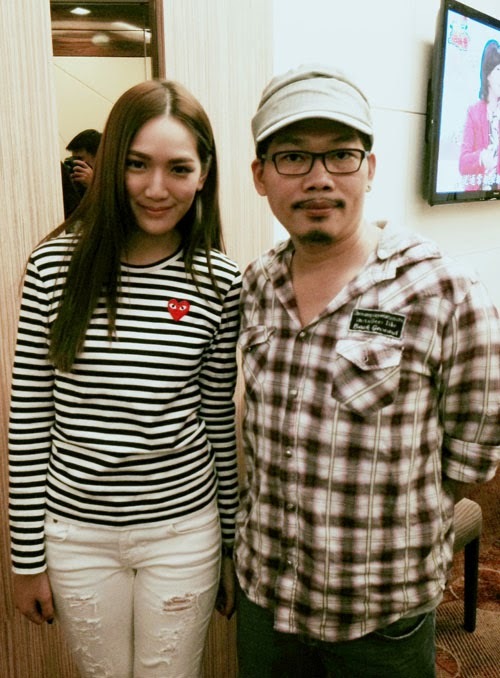 Vivan Hsu and Alan went back to Taiwan for work that morning. Ahhh, life of a superstar. The whole hall was pack with students! Power of Vincent Fang. After that, we get to have lunch together!!!! Didn't really take pictures cuz I am really paiseh to interrupt them :/ BUT I TOOK PICS WITH VINCENT!!! Wanted to talk to him more but my anxiety kills. My chinese terus become cacat idk why. After that was another promotional event @ Sg Wang. Queen sung the movie theme song live. IT WAS SOOO GOOOODDDD! In conjunction with Start Society and Chatime, they made a Love Lock Fence where the purchase of the love locks will be funded to Start Society. If you haven watched the movie, please go and watch when it's still on screen! Unlike other love movies, the storyline of the movie is really unexpected and it's really beautifully filmed. Hope you guys will enjoy it like how I really do.